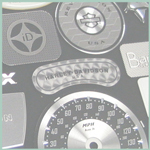 Metal nameplates and trim offer a premium appearance. Aluminum is the preferred metal substrate because it is versatile offering a diverse range of options for decorating and forming. 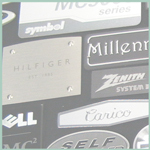 Stainless steel nameplates are also popular. 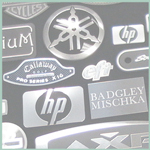 A wide array of pressure sensitive and heat activated adhesives can be used for mounting your nameplate. Foam adhesives are available in a variety of thicknesses and are often used for attaching to rough surfaces. In addition, mechanical options such as snap fit, tabs and studs can be used for attachment to the final product. Partial list. Not all processes are available on all substrates. Some processes may be outsourced at our discretion depending on resources. Additional processes and information may be available. Contact us for details.